Young South Koreans have different attitudes on family issues, from caring for parents to cohabitation before marriage. Values and attitudes are changing in South Korea. 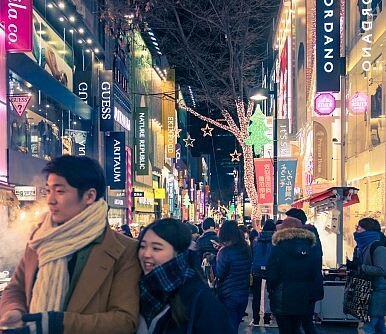 Huge structural changes accompanying South Korea’s “compressed modernity” or “hyper modernization” have led to stark value and attitude changes across generations. Such changes include everything from attitudes toward the LGBT community, levels of support for unification, and thoughts on income inequality. Because of the historical timing, nature of its development, and the security environment, value change in South Korea has, unsurprisingly, moved along a trajectory different from other industrialized societies. Direction and pattern of the changes aside, value and attitude changes are afoot. As Christopher Green recently tweeted: “Shifting #attitudes in #ROK; more evidentiary grist for the mill.” The short Joongang Ilbo article cited in Green’s tweet reports (in Korean) some of the latest data presented by Statistics Korea and the Ministry of Gender Equality and Family Affairs regarding youth attitudes toward important social issues, such as taking care of aging parents and co-habitation. “Over the last two years, the answer ‘The eldest son and the eldest daughter-in-law should be the main caretakers’ [for aging parents] decreased from 4.1 percent to 3.2 percent,” the article reports. Instead, “Among South Korea youth (ages 13-24) four out of five (80.1 percent)” believe that “all children” should share that responsibility. The article doesn’t put the numbers into broader historical context, so it is hard to draw any definitive conclusions. It does, however, show that a traditionally conservative society is changing, and that these changes are occurring within younger generations. Can South Korea’s 2 Main Parties Learn From Each Other? The Liberty Korea Party and Democratic Party have adopted opposite approaches to public scandals, both with mixed results. Is South Korea Ready to Say Goodbye to Its National Security Law?In Trump and Kim Jong Un We Trust?The Inter-Korean Thaw Is Changing How Young South Koreans See the NorthSouth Korea’s Domestic Political Divide on North KoreaCould MERS Permanently Tarnish South Korea's Government?